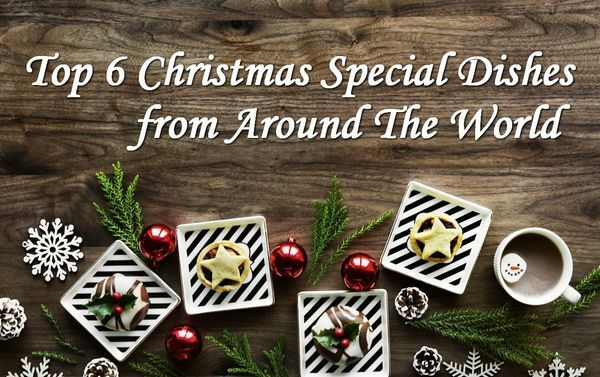 On Christmas most of the people will pile into the car and head-off to the relatives or friend’s places for grand Christmas dinner, which will most likely involve some expected dishes like ham, turkey, mashed potatoes, stuffing, Gingerbread cookies and the usual cast of characters. 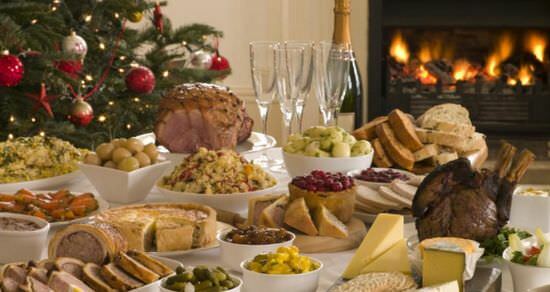 But as you might expect, these dishes are not the norm on the Christmas tables all around the world. In German, the occasion Christmas remains incomplete without Stollen, a fruit cake with candied fruits, nuts and spices topped with the confectioner’s sugar. Another popular Christmas special German item is Lebkuchen which is almost same like the Gingerbread, Springerle-an embossed biscuit; and Weihnachtsplätzchen, or assorted Christmas cookies are also some of the very popular Christmas treats in Germany. Apart from the desserts, the main dishes include carp, roast goose, venison, weisswurst, and schäufele (corned roast ham) with potato salad on the side. Two of the very famous Christmas special wines are feuerzangenbowle (hot mulled wine with flaming sugar melted into it) and glühwein, or hot spiced wine. On Christmas, each region of Italy eats different food items but the traditional Christmas day dinner of Italy is Feast of The Seven Fishes which typically consists seven sea food dishes. The name of this dinner is symbolic of the number seven which is the most repeated number in the Bible. Popular dinner dishes include Baccala (salt cord), baked cod, friend calamari, fried fish or shrimp, linguine with calm or lobster sauce etc. When it comes to having the best Christmas dessert in Italy, high-risen sweet yeast breads including panettone and pandoro are popular always dominate the list. No wonder the Christmas dinner in France is the opulent one and oyster, Foie Grass, Chestnuts-stuffed turkey roast chicken, smoked salmon and goose are not the uncommon finds on the dinner table. The Yule Log is the most popular Christmas dessert of France. India is a vast country with the people from different cultures and ethnics so it would be hard to say the staple Christmas dinner of this country but Christmas cake is the staple one of this country. The delicious and rich Fruit cakes symbolizes the occasion of Christmas in this country. In most of the Nordic countries, the Christmas dishes are served in smorgasboard style and in Sweden it’s known as the Jullboard where guests help themselves to a wide array of dishes. These popular dishes include meatballs, ham, sausages, spared ribs, pickle herring etc. Lutefisk (white fish treated with the lye) is also very common along with the plenty of mulled wine. Well, in Japan, the KFC is so much popular that the orders of Christmas are usually placed with the restaurants up to two months in advance. The typical Japanese Christmas cake is a sponge cake frosted with the whipped cream and topped with the strawberries. The occasion of Christmas is almost knocking the door and this time, order any of the above delicious Christmas dish online and send it to your dearest one.